The best of December 2015 was surprising. My husband and I were in West Chelsea for a gallery opening and we were wondering where to eat dinner. The Red Cat in Chelsea came to mind but I had never been there nor read about the place so we quickly looked up their website for the menu and decided to try. And this spontaneous dinner became my best meal in December 2015. My husband and I shared the amazing broccoli salad. 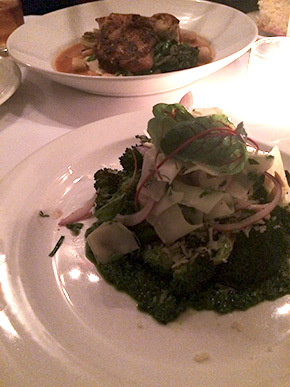 It was roasted broccoli rabe on a bed of pureed broccoli and topped with shaved broccoli stems. By far, this was one of the best broccoli salads I ever had. It was from their special menu so chances are I won't be able to taste this again but I really loved it. 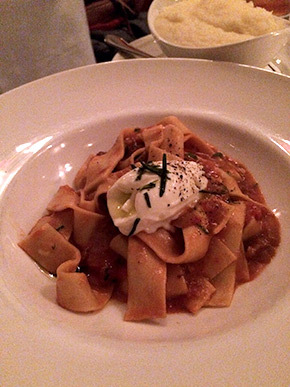 My main course was the housemade tagliatelle with rosemary, mascarpone, and duck stew. It is actually from their appetizer menu but it was definitely plenty for me. The duck stew sauce was tasty but not too heavy. I like to start dinner with a cocktail and my choice is usually something bourbon-based like a manhattan or boulevardier. So when I saw their Montenegro Manhattan in the cocktail menu, I knew I had to get it. Montenegro is one of my favorite after dinner drinks so the cocktail was just right for me. 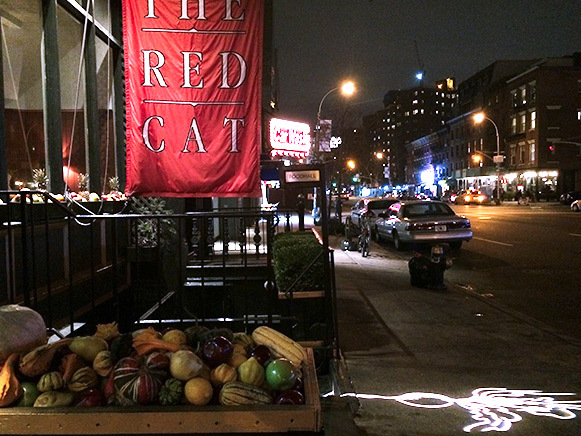 One remarkable thing about my experience at the Red Cat was the great service. The server who took care of us was a professional and everything came in and out at the perfect timing. We left the resturant with a thank you note. I was not expecting to have such a beautiful dinner that night and I am looking forward to going back there again soon with higher expectations.